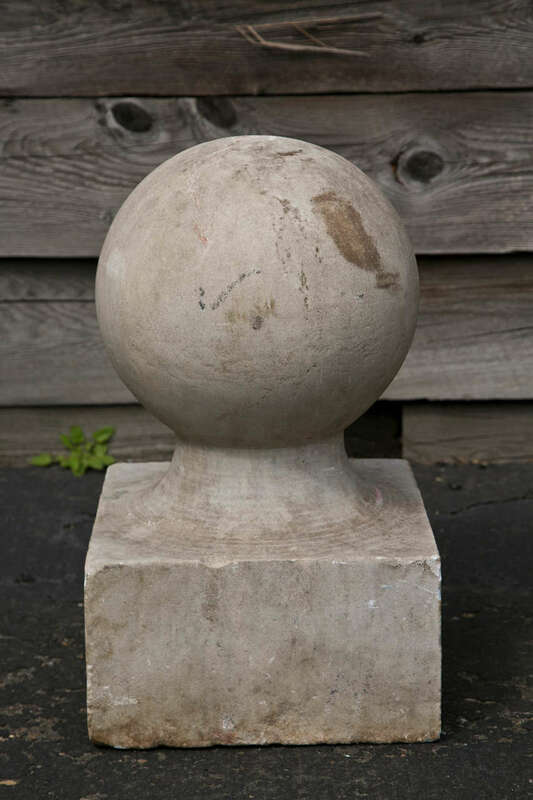 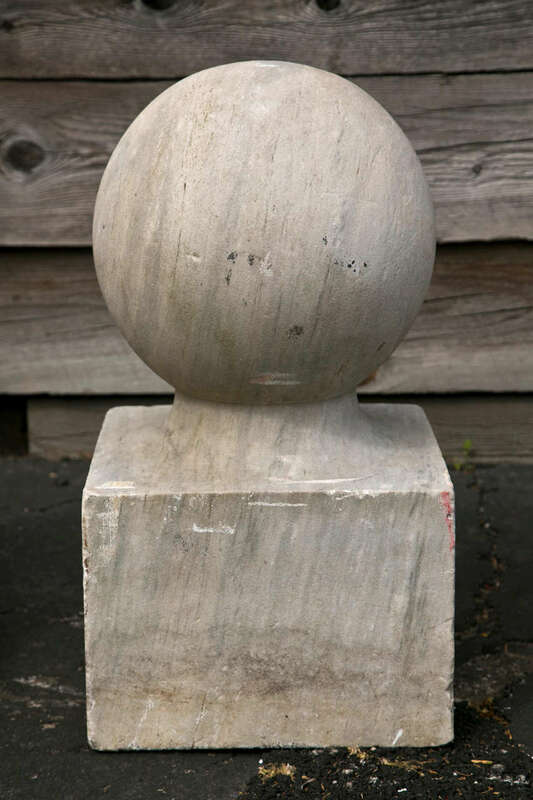 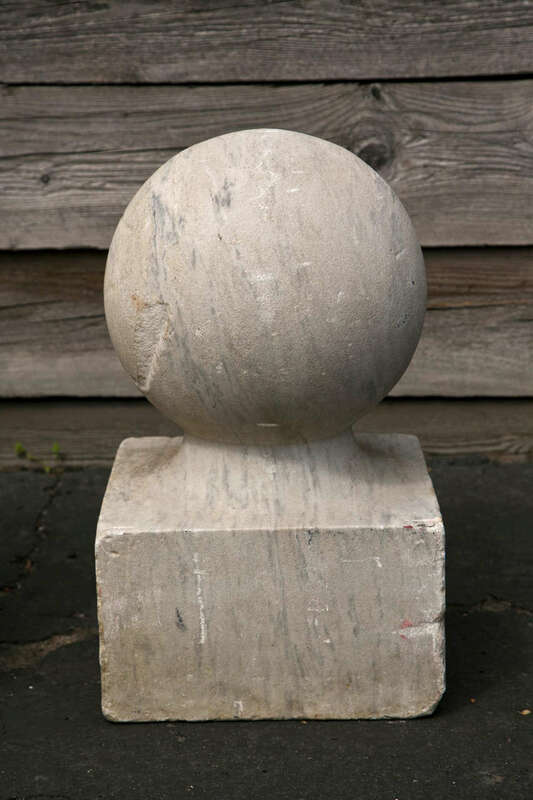 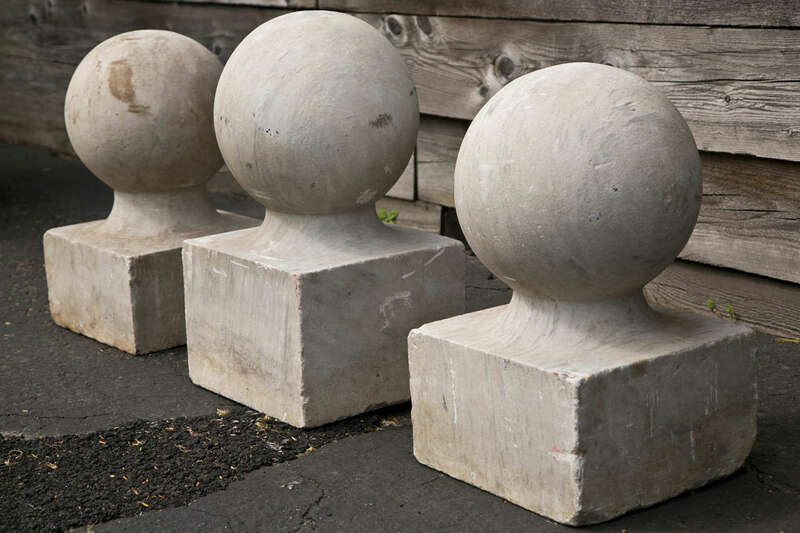 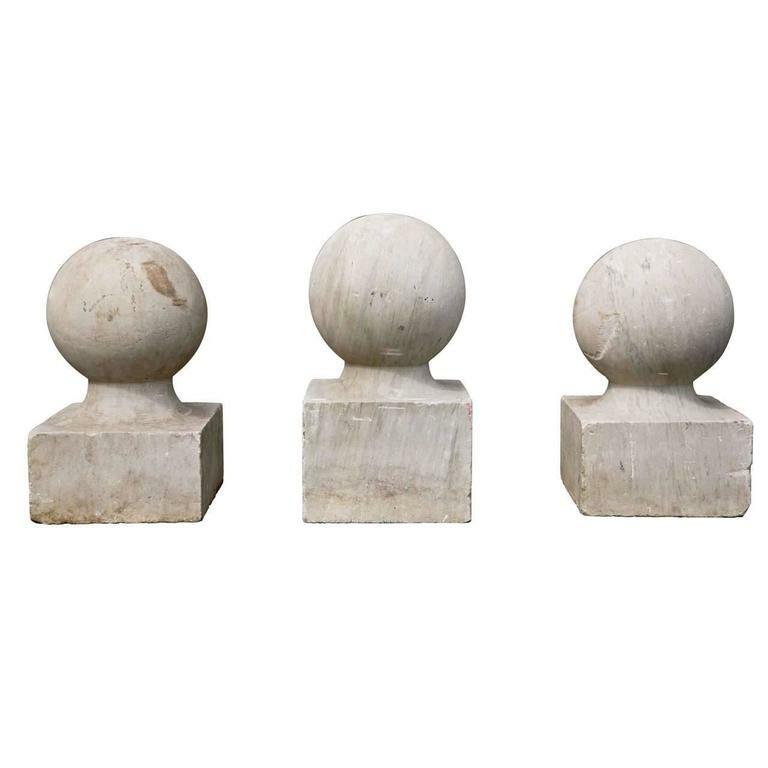 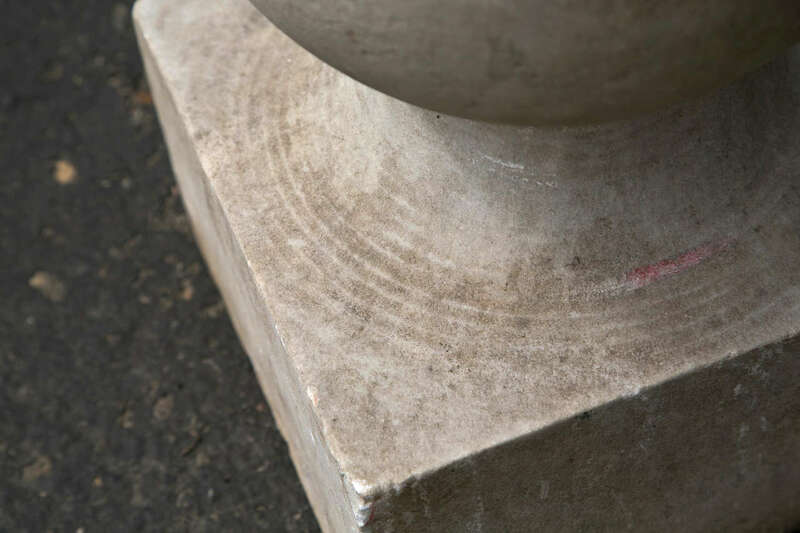 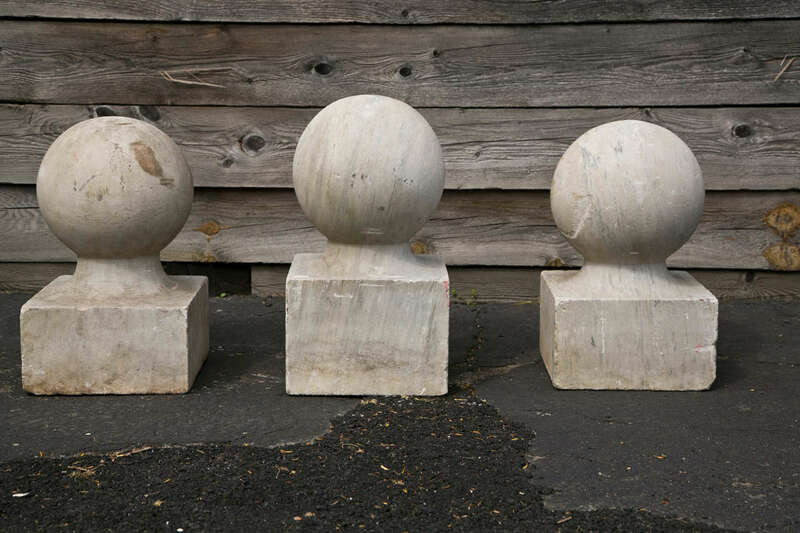 Three carved marble spherical finials with plinth form bases Pair of measure: 20" H x 12" D $1,600 Single 22" H x 12 D" $1,000 Can be sold as set or pair or single. 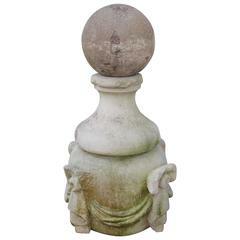 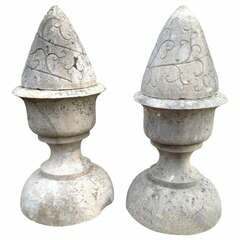 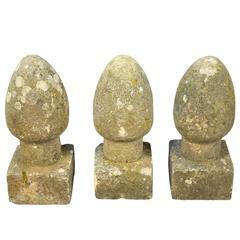 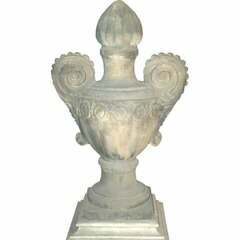 Five marble garden finials... Sold as a set or individually. 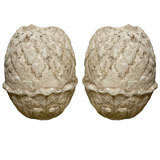 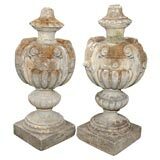 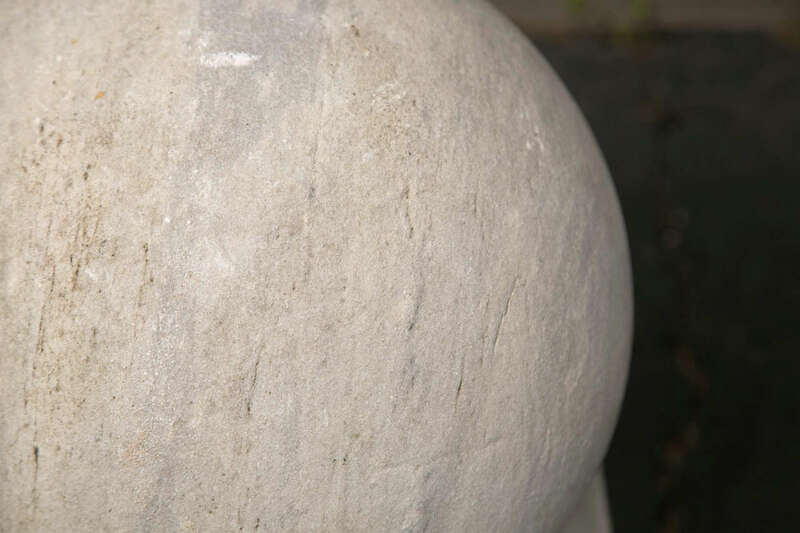 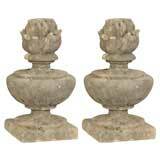 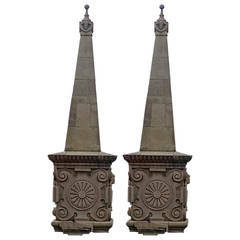 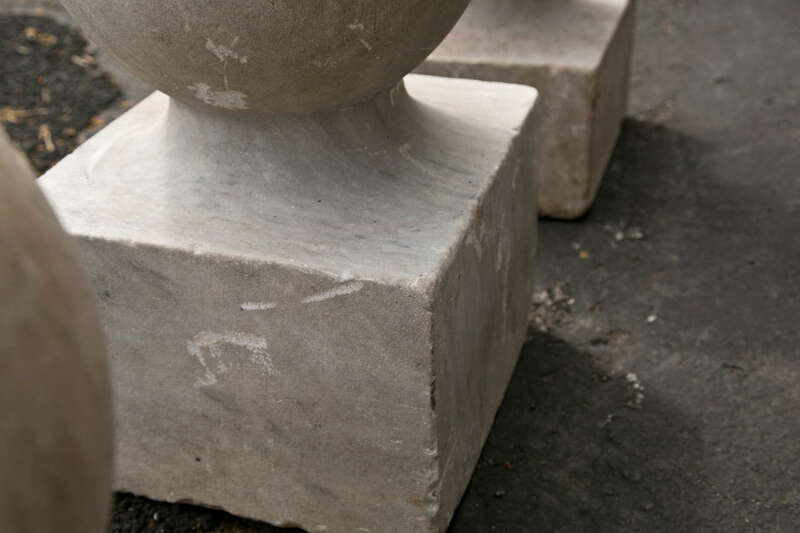 A very nice pair of carved stone finals in the classical tradition of French garden design and architectural elements. 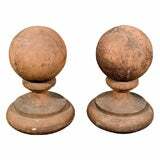 Note the nice patina and mossy surface with lichen still growing.